You probably saw Disney’s live action re-make of the 1967 animated classic The Jungle Book that came out in 2016, but did you know there was a second Jungle Book movie that was released this past Thanksgiving? Entitled Mowgli: Legend of the Jungle, this more recent (and slightly less-known) release was actually in the works before the Disney remake. 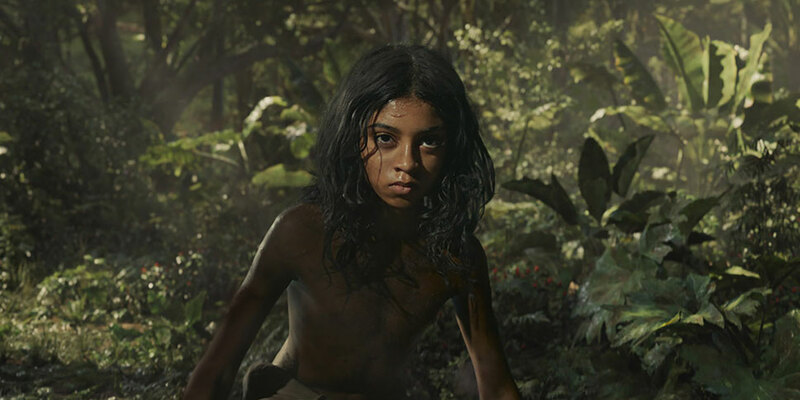 Directed by Andy Serkis, this film is a much darker take on Rudyard Kipling’s The Jungle Book. And though it was only given a limited theatrical release (followed shortly by its Netflix debut), this film is easily one of 2018’s hidden gems. Serkis and his team took the motion capture technology a step further by using performance capture – a process that includes capturing the actors’ faces and audio as well. While some have poked fun at the often peculiar-looking animation, others would point out that animated animals with faces showing characteristics of their respective actors is all in the scope of performance capture films. Regardless, it is entertaining to see what Benedict Cumberbatch’s expressions lend to Shere Khan or what the eyes of Cate Blanchett bring forth in Kaa. This style, though, was a deliberate choice for Serkis and his visual effects team. In a fascinating “Notes on a Scene” video, he explains this choice. “I really didn’t want to use documentary-style, photo-real animals that you would never believe a voice would come out of,” he says. “Part of the design of the animals was to license them so that you could actually see facial expressions that made human vowel sounds.” As you can imagine, this technique is extremely involved and is partly what caused such a delay in release. “What was apparent in this script is it’s an incredibly complex psychological role for a young boy who is ‘other,'” he continues. “It really connected with me, that notion of being different, being caught between two different, changing worlds.” Serkis and Cavendish stuck to their original vision, and the film was eventually acquired by Netflix. Indeed, the story certainly dives deep into the dark and brutal dynamic of the wild. Yet, while imparting a vivid picture of reality, it can still be a family film, as the shots leave much of the gory action to the imagination. For instance, we see an elephant charging a hunter through the hunter’s gunsight, but we never see the jungle giant taking the hunter down. This film presents a refreshing balance between respecting nature and hunting. We see man and beast alike in the jungle taking pride in the art of hunting, respecting the prey, killing for food. At the same time, we see other examples of man and beast recklessly laying waste—Shere Khan the tiger killing for sport and for love of man blood, and the man hunter needlessly scavenging and tearing apart the jungle for his private collection of albinos and elephant tusks. One illuminates the food chain and the rhythm of life while the other decries a greedy lust and brutality. Andy Serkis does a brilliant job of weaving them both together into a twisting story where Mowgli the Man-Cub becomes the only hope and finally savior of both the village and the jungle. Throughout the movie, there can be found a strong theme of “think before you act.” It might be Mowgli letting down his guard and being thrown out of the running by Bagheera. Or Mowgli almost getting himself killed by the monkey people through sheer curiosity. Or Mowgli devastating the existence of the albino runt wolf Bhoot through anger over his own situation (Bhoot has two of the most touching and desolating scenes of the film). One experience at a time, the boy learns to listen, bide his time, take his chances, and always and always keep his wits sharp as the blade of the knife given to him by the hunter. By the end of Mowgli’s war with the tiger, the audience receives the sheer thrill of the mastery of such a lesson. Performance capture, story, grit…this film adeptly combines it all. Whether as a top favorite of last year or a good movie for the New Year List, “Mowgli” is a dark jewel of the jungle well worth the time to watch. 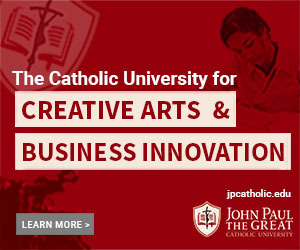 Maria Andress is a film production and acting alumna from JPCatholic (Class of ’17) who hails from the proud green and gold state of Wisconsin. She is currently working in film producing, and pursuing a career in period film production. She is also a travel enthusiast always on the lookout for a fascinating idea or historical tidbit that she can translate to story through the many mediums of art.